To investigate your mortgage options if you are a Non-UK Resident call our specialist mortgage team on 0117 313 7780 or fill in our callback request form. If you are a citizen of the United Kingdom, who is not a permanent resident you may find that there are certain obstacles in your way when trying to secure a UK mortgage. While your residency can make it more challenging to find finance there may still be a range of products available to you, whether you are: looking to move back to the UK and wish to purchase a residential property before so, looking to purchase a residential property as a UK base when you visit home, or other reasons such as purchasing a buy to let or buying property for a family member. Borrowers, who have lived abroad for an extended period, might in some instances find particular difficulties when trying to find credit in the United Kingdom, if it is found that they do not have a traceable credit history. While lacking a credit history may in the first instance sound better than having a poor credit history, this is not necessarily the case. Lenders may consider an applicant who lacks a credit history as an ‘unknown quantity’ making it difficult for lenders to calculate the risk of lending to you, by viewing how you previously dealt with credit commitments. As with any UK mortgage, lenders will require non-UK resident to provide them with evidence of various things, however proving things such as income can be more complex; Lenders will generally need to see account statements and payslips, this means that it may be easier for those who work for multinational companies who have a UK presence, however it is still possible to secure a UK mortgage for expats even if they are self-employed. During a mortgage application non-UK residents may also have difficulty in providing evidence for things such as their current address, especially show if their employers pays for their accommodation and utility bills, in these instances they may have to obtain a ‘letter of induction’ from their employer as proof. Non-residents looking for a mortgage might want to consider using the services of an independent mortgage adviser based in the UK. Not only will this provide them with a Contact based within the UK who can help them to navigate the market, but they can also help with the application process. 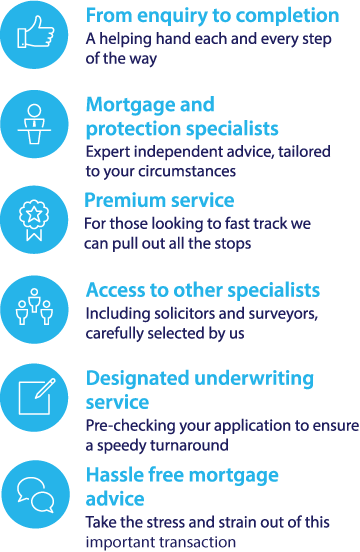 An adviser that offers a whole of market service, can use their professional knowledge of the UK mortgage market to search across a range of providers to try and find the most suitable products for their clients, there are also a selection of mortgages that can only be accessed via an intermediary, which in some instances might be the best choice for a borrower. To find out if Fair Mortgages could help you, fill in the contact form on this page to request a call back from an adviser, alternatively call directly on: 0117 313 7780 from the UK or +44 117 313 7780 if calling from abroad.